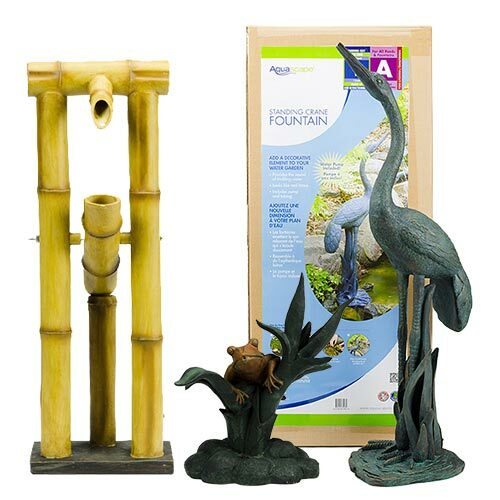 Aquascape Spitter and Fountains Add a unique touch to your outdoor living space with these decorative features. Choose from container water gardens, stand-alone fountains, bubbling stone and decorative spitters. Most can easily be installed in an existing system. Add a unique touch to your outdoor living space with these decorative features. Choose from container water gardens, stand-alone fountains, bubbling stone and decorative spitters. Most can easily be installed in an existing system.